The cult classic movie Star Wars remains as popular as ever with newer movies being released such as Rogue One, Solo and The Last Jedi. 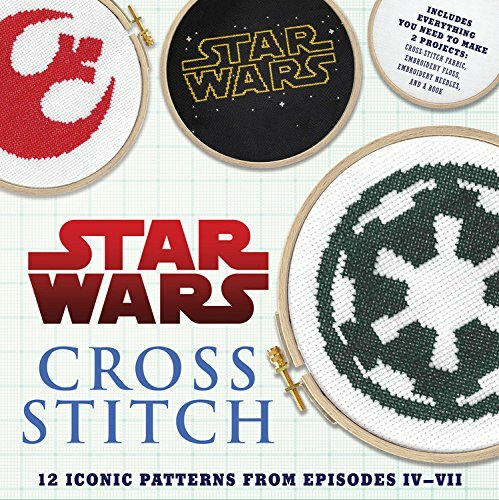 There are plenty of Star Wars craft books available that are filled with fun projects that any fan can create. I've picked out my favorite range here for you to enjoy. These books make fab gift ideas for sci-fi loving crafters. There’s plenty in these craft books to make and do for some really out of this world crafting. I’ve dipped in to many these and have picked out my favorites for a great overview. It’s not surprising that so many people look to make and create items based on their favorite characters and items from this cult classic called Star Wars. 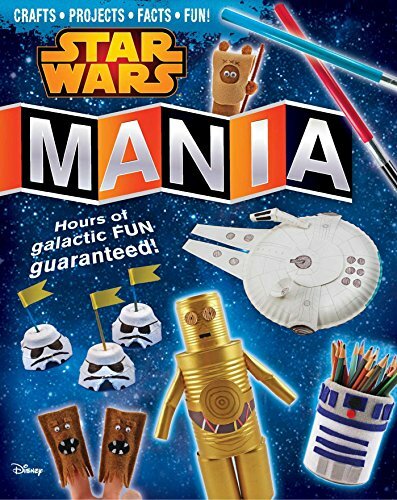 I know I'm always on the lookout to see what fun items I can make or buy based on this science fiction series. 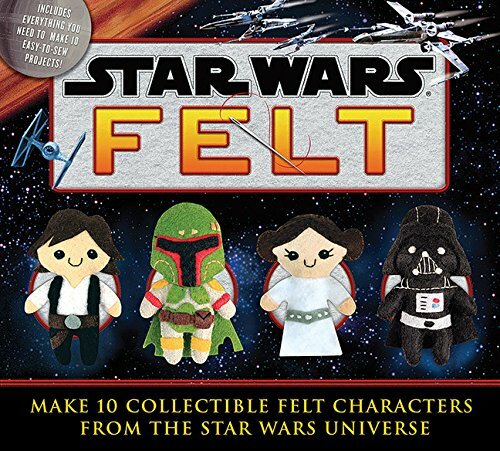 Here's a range of craft book gift ideas that any crafty fan of Star Wars should love. 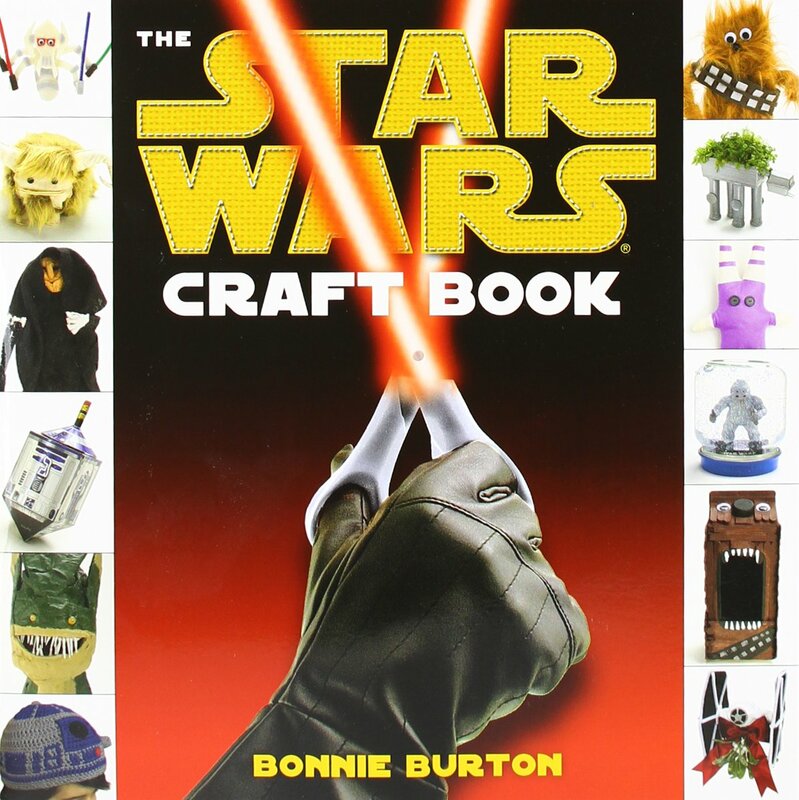 If you enjoy arts and crafts in general, this Star Wars craft book by Bonnie Burton is the one which is filled with a range of different projects covering clothes, Holiday crafts, home decor, novelty, play toys and more. We were lucky to borrow this book from the library and it is full of fairly easy to do projects that I’d say range from easy to medium difficulty levels to make and complete. How about a gross looking Jabba the Hutt pillow to lounge on. There is a wreath for your Christmas Holiday decor or a science fiction snow globe. I especially like the themed quilt for the bed or sofa which is made from t-shirts. 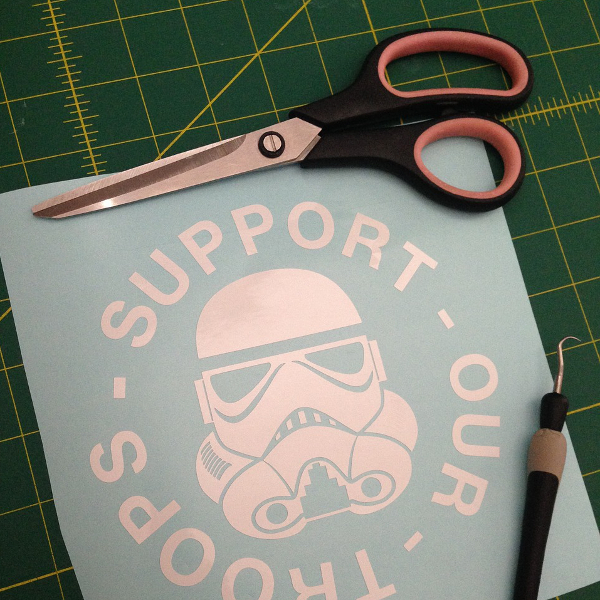 There are lots of geeky things to make and create that any fun-loving fan will adore. There are finger puppets based on favorite characters. We loved the Master Yoda one. You can make some plush dolls that are fashioned with felt, socks and wash cloths. There are some fun and wacky home decor items like the furry Chewbacca tissue box cover that you simply can’t resist stroking. There is really nothing too challenging or that requires too many items and tools to finish off. Most of the projects require no real skills in sewing which makes them very easy for kids and adults to do separately or as a family fun activity. 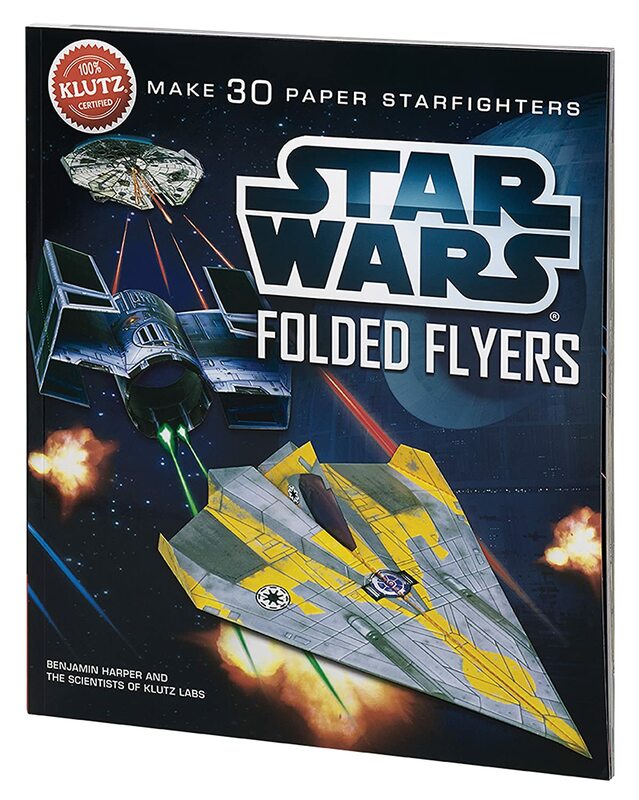 If you particularly love the cool spaceships and spacecraft, this ingenious folded flyers book has 30 of them that you can make up and play with. It also has a bunch of 40 sheets of fun custom papers for you to make use of and some very handy display stands too. This should make indoor crafting so much more exciting. 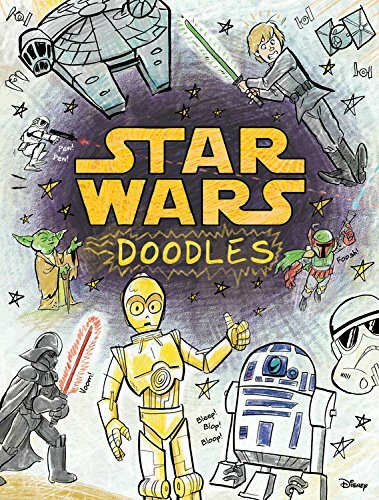 ⭐ Another book idea is Art2-D2’s Guide to Folding and Doodling. There are 75 things to fold, draw and do for sci-fi mad kids. This book is aimed at children who love to craft and it is filled with fun themed activities for them to try. 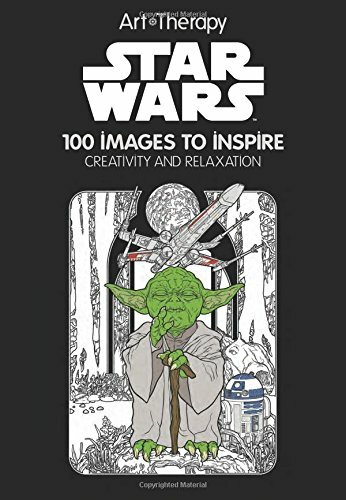 Now you really can learn to draw items from this theme with a book called You Can Draw: Star Wars, not shown. 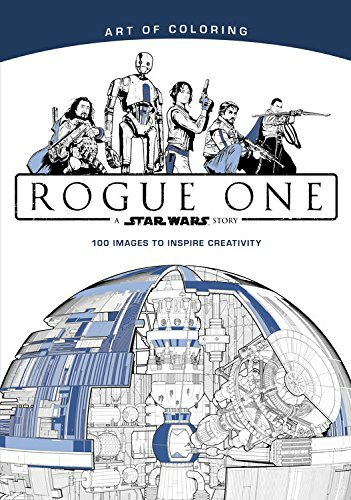 Recommended for age 8+ to adult, this book shows how to complete really polished drawings of favorite characters, weaponry, vehicles and more with a pencil. 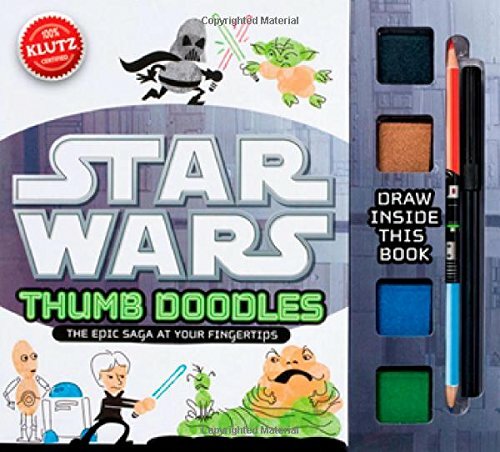 My daughter and I are big fans of the thumb doodle art books and own quite a few of them because they are quick to do and they also make ideal stocking fillers for keeping kids busy on Christmas morning. This themed addition by Klutz is really good fun. ⭐ You get 4 different colored ink pads. Very handily they have given you a green for making Master Yoda doodles and a brown for Chewbacca. Plus you also get a marker pen as well as a duel tipped lightsaber style red and blue pencil for extra drawing. I really think this is a fab and fun gift to delight any fan. 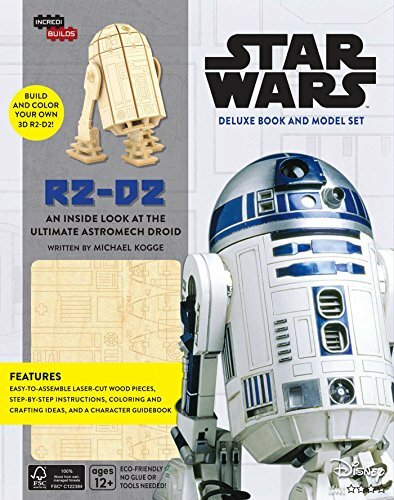 The book shows you how to create a certain character or item from the Star Wars universe using a step by step format. It's as easy as pressing your thumb or fingers into the ink pad and straight onto the paper. Once you know how it’s done, you can then go mad making up your own fun scenes. 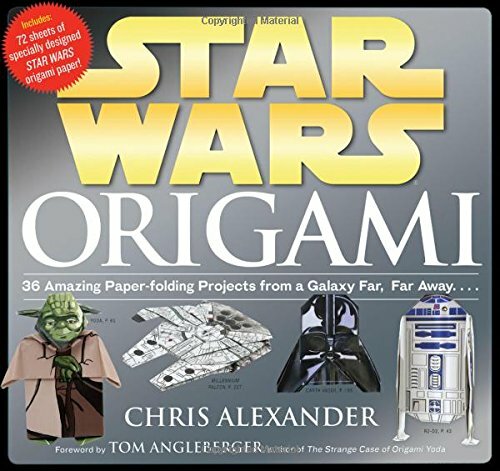 Origami and Star Wars is a truly out of this world combination for any geek fan of this series that loves to paper fold too. I love paper crafting and origami so I keep a lot of paper ready for making anything when I get the chance and time to be creative. Origami and paper folding are among my favorite crafts because you can make something quit quickly and easily with just a bit of paper. This book has 36 different projects with a wide range of levels to suit both intermediate folders and those who are already very experienced at this craft. With the inclusion of custom papers too, it really makes for a great purchase I think. Projects include favorite characters like Han Solo, Master Yoda, R2-D2 and Darth Vader. And there are plenty of iconic items like weaponry and space crafts such as tie fighters, lightsabers and the Death Star. I wouldn’t really recommend this particular book for people who are new to paper folding. From my library copy that I read, it did not seemed to be aimed at complete beginners. I am quite good at origami and found some of the projects are really hard. If you are new to the craft of paper folding, I recommend that you firsft get a beginner book on origami. Do stay and look at the other fun items below based on this sci-fi galaxy that is far, far, away. 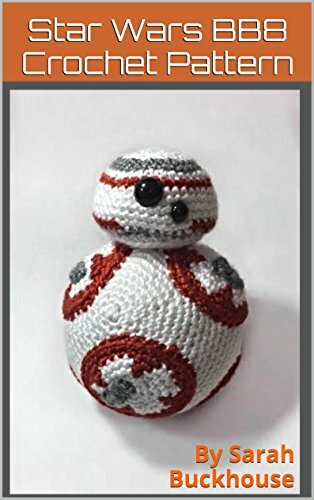 With this cool looking crochet book, it’s been sat in my wishlist on Amazon for a little while so I am really kinda hoping that I might just get it for Christmas this year and especially as I learned to crochet just a few years back. 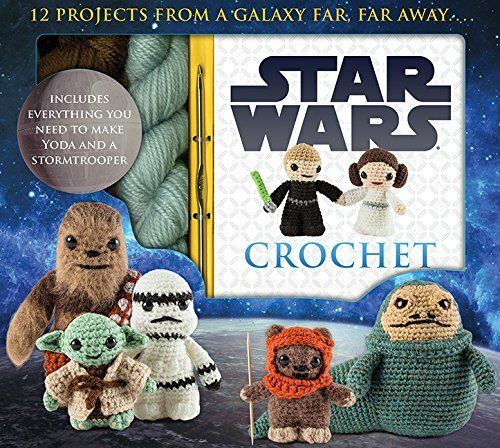 I already have a number of fun crochet books and this one does look like so much fun with lots of cool projects for me to get stuck into over the cold winter months. I’ve always wanted to make my own Darth Vader head from paper and one day I will make the time to give it a go. I’d love to frame it and pop it up in my home office with a famous quotation of his underneath: I find your lack of faith disturbing! Alternatively, I would also enjoy a little green Master Yoda with this quip: When nine hundred years old you reach, look as good, you will not! These would make really fun projects.